Jacob Owens, the hero of Shenandoah Hearts, is a prosperous merchant, owning and running a Philadelphia shop. He’s had the wonderful ladysmith, Madga Sehler, working with his family for years. But the Sehler family is relocating to the Shenandoah region of what is today Virginia. This backcountry area was dangerous. Beautiful but dangerous. Far from Jacob’s home. And did I mention dangerous? In romance, we always have the “why?” and the “why not?”. I’m a big proponent of understanding the characters’ backstories. So what do we have in Jacob’s present day and in his backstory that would lead him to abandon his livelihood in Philadelphia? Jacob’s parents lived in Philadelphia and brought him up there. But wait – his grandparents had lived in the backcountry. And every visit to Philly brought tales of the glorious beauty of the Blue Ridge mountains. So his grandparents had lived there in the early 1700s my oh my – and what adventurers they had to have been. Jacob’s eldest brother is, in fact (and fiction! ), living in western Virginia where he is developing a forge and iron working business in which Jacob will have a partnership. But … Jacob’s next eldest brother is in the military. He has been sent to the western area of Virginia in the Shenandoah Valley, to guard against encroaching French interests. And he tells Jacob this is an area brewing with trouble. These two brothers are particularly close. And Jacob’s brother has planted the notion that if ever Jacob should wish to journey to their grandparents’ former “backyards” that he’d be welcome in the militia. Or as a supplier to the forts, which was badly needed. Want to know what happens? 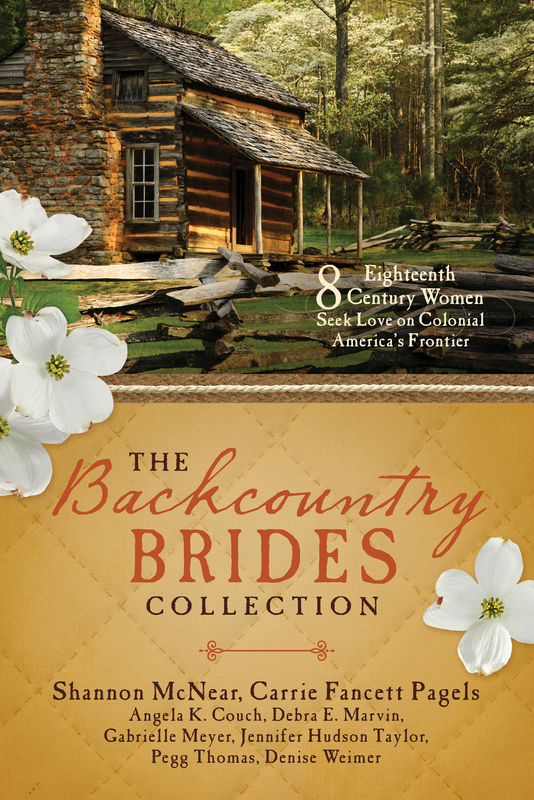 Leave a comment for a chance to win a copy of The Backcountry Brides collection! Also, don’t forget to enter our Rafflecopter giveaway, which runs through May! Carrie Fancett Pagels, Ph.D., is the award-winning author of fifteen Christian historical romances, including ECPA bestsellers. Twenty-five years as a psychologist didn’t “cure” her overactive imagination! A self-professed “history geek,” she resides with her family in the Historic Triangle of Virginia but grew up as a “Yooper,” in Michigan’s beautiful Upper Peninsula. Carrie loves to read, bake, bead, and travel – but not all at the same time! 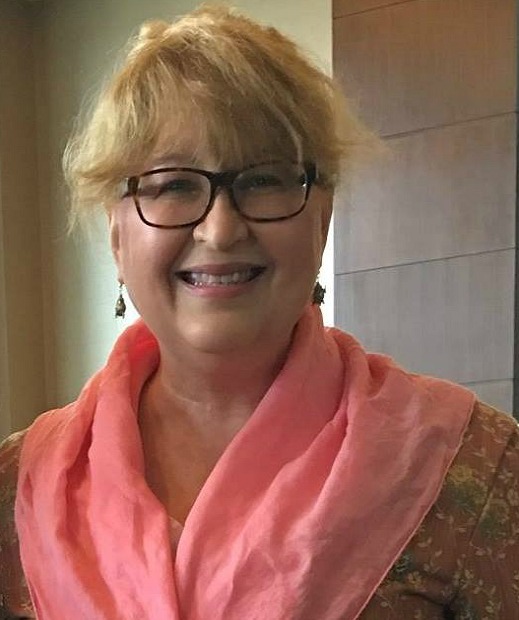 You can connect with her at www.CarrieFancettPagels.com. Another wonderful story from this awesome collection!